Honda has partnered with AOL's Engadget to create a series of interviews with the five 'uncommon' people hoping to take a one-way trip to Mars to colonise the 'red planet'. The docu-series features personal stories and first-person accounts from those competing to secure a real life, one-way ticket to the planet in the hope of permanently colonising it by 2027. 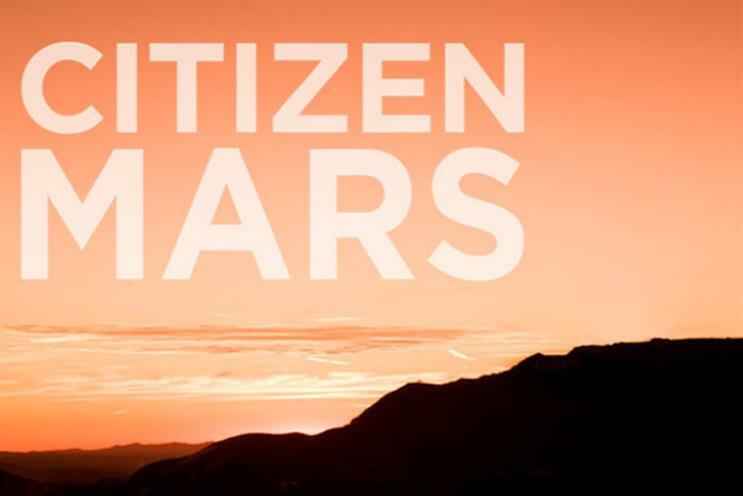 The series, Citizen Mars, aims to shed light on the finalists' "obsession with the future, adventure and space", and what is driving them to leave the earth. It is being aired on a hub on Engadget, the technology site owned by AOL. The documentary, which is sponsored by Honda as part of the brand's campaign featuring a space rocket, shows interviews with a 35-year-old who works at a small tech venture, a 32-year-old Egyptian, a trainee psychiatrist, a quantum biologist and a 19-year-old Indian girl. "We’re putting a big emphasis on video and bringing high-quality episodic content and great story telling to our viewers," said Michael Gorman, editor in chief of Engadget. "There’s a tremendous amount of interest in the Mars One project and many are skeptical about the mission’s feasibility which is why we thought it an important story to tell."